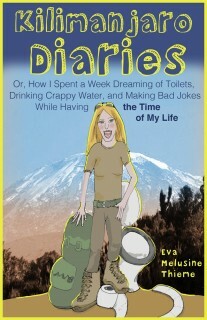 The question I most often get asked about my book, Kilimanjaro Diaries, is how long it took to write it. It’s not so easy to answer, because I started out with a collection of blog posts I’d written right in the aftermath of climbing Kili. That was in September of 2012. 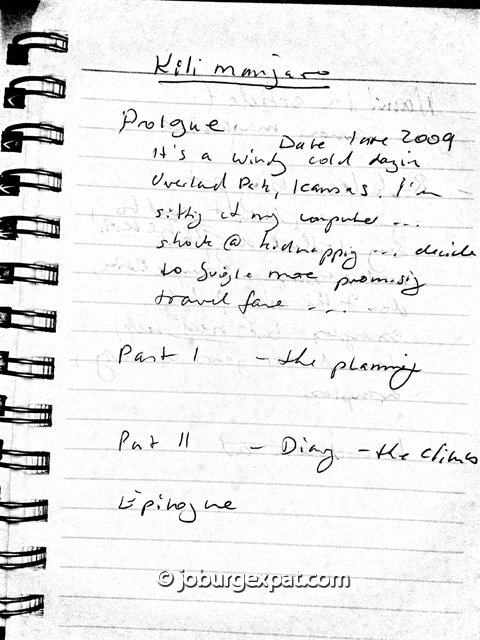 In late July 2013, I started with the book in earnest. Originally, I thought it would just be a matter of organizing my blog posts in the right order and adding chapter headings. It seemed easy enough. I had a week at the beach in front of me, without an internet connection, and in my mind I saw the finished book tantalizingly close. But nothing like that is ever easy. I did make quite some progress that week, far from Facebook and emails, but the scope of the project was so much bigger than I’d originally thought. Which was a good thing or I might not have started. I worked through August, September, and October, hired an editor and cover designer in November, waited for Christmas and all the holidays to pass throughout December and half of January, implemented all the changes throughout February and early March, and then published the Kindle edition on March 26, 2014. That’s about eight months, or seven if you take out Christmas. The key to writing a book, above all else, is to keep going. It takes a lot of effort to actually sit down and start writing. There is always something else that needs doing, and the longer you wait, the more your book recedes into the background, yielding ground to more pressing needs like laundry, groceries, and birthday parties. If you sit down to write every single morning, on the other hand, even if it’s just for half an hour, the book stays fresh on your mind and continues to progress at a steady clip. And the more you write – even if it’s just blog posts not related to your book – the better the words flow. Here’s to the next one and that it may only take three months. Stay tuned for Part Two of this blog post, in which I’ll divulge some secrets of Kindle Publishing, Smashwords, and everything else that’s needed to actually publish your book. Previous What Does a Doctor’s Visit Have to Do With Climbing Kilimanjaro? “The key to writing a book, above all else, is to keep going.” I wrote these words on a post-it and stuck it to my laptop. Starting to write a book is like, well, starting to climb Mount Kilimanjaro: it’s awfully overwhelming if you’re standing at the bottom looking up. But getting some momentum going and doing a little bit each day — pole, pole — that’s the secret. Or so I hope. I’ll let you know when I reach the summit. Please do let me know! And you’re absolutely right. The one reason I loved my Kili adventure so much is that it was so full of metaphors for life. Pole Pole works for just about anything you attempt that has any difficulty or longevity attached to it. Cut the task into bite size (or, in the even, step-size) pieces, and finish each of those pieces until you’ve strung them all together into a lovely string of accomplishments.I should also mention that writing a book has another similarity with climbing Kili – the last bit is the hardest. Because there is so much left to do, and, if you have a deadline, such little time to do it in.